The Instituto Floresta Viva (IFV or Living Forest Institute, in english) was founded in 2003, but its history began in 1996, when members of the IESB (Institute of Social-Environmental Studies of Southern Bahia, in english) worked together in order to minimize the impacts of the new highway between the cities of Ilhéus and Itacaré, which would have paved through centennial trees, preserved rivers, and rural communities of cassava and lumber producers. Since then, a series of events explain the trajectory of the IFV. The team understood that the highway – financed by the Inter-American Development Bank (IBD) – could either be seen as a threat or a great opportunity. True to their nature, the team perceived a new concept of economy allied to local preservation and development: an economy capable of promoting prosperity for all its inhabitants. Important legal landmarks created the conditions that made this group strong enough to interfere with the construction. The first of these is the 1988 Constitution, which marks the democratization of Brazil. It gave much power back to the citizens regarding the defense of the natural environment, and established the Atlantic Forest as a natural biome of national interest. One year following the 1992 UNCED (United Nations Conference on Environment and Development, also known as the Rio de Janeiro Earth Summit), President Itamar Franco signed the Federal Decree No. 750, establishing the principles and norms of protection for the Atlantic Rainforest (13 years later it was renamed the “Atlantic Rainforest Law” by the National Congress). The Environmental Protection Area (APA, in portuguese) Costa de Itacaré-Serra Grande was also created in 1993. That same year, Ceplac (Executive Commission for the Cocoa Plantations) and the Botanical Garden of New York published a report highlighting the incredible number of 456 species of trees found in a single hectare of preserved area next to Serra Grande, in the coastal district of Uruçuca. The record positioned Southern Bahia as a region with one of the highest concentrations of biodiversity on the planet. In 1997, with the beginning of the highway construction, the same environmentalists from IESB helped design and create the Serra do Conduru State Park (PESC, in portuguese). We asked for the environmental conservation of this region, and the community, who wanted the road very much, thought we would stop the work. During a presentation on the results of an environmental impact study on the watershed, we declared our support for the highway, provided it was done correctly. It was then that the locals realized that development and ecology could go together. The IESB team thus influenced the layout and construction of the 65 km Ilhéus-Itacaré highway and the almost simultaneous creation of the Serra do Conduru State Park, alongside the APA Costa de Itacaré-Serra Grande. These protected areas strengthened a new culture of products and services associated with environmental conservation. Between 1999 and 2000, the IESB planned and executed the Environmental Education and Tourism Program of the Itacaré-Serra Grande Environmental Protection Area, with the purpose of informing the residents of the municipalities of Itacaré, Uruçuca and Ilhéus about the existence of the protection area. A broad communication strategy was implemented in these municipalities, including monthly newspapers, films in the square, and pamphlets for students and professors. The Management Council of the APA was also created, the first of its kind in the Northeast region. It marked the beginning of a more developed and relevant social participation process, including the implementation of the Serra Grande sewage treatment plant. In 2000, the IESB created the Floresta Viva Project. 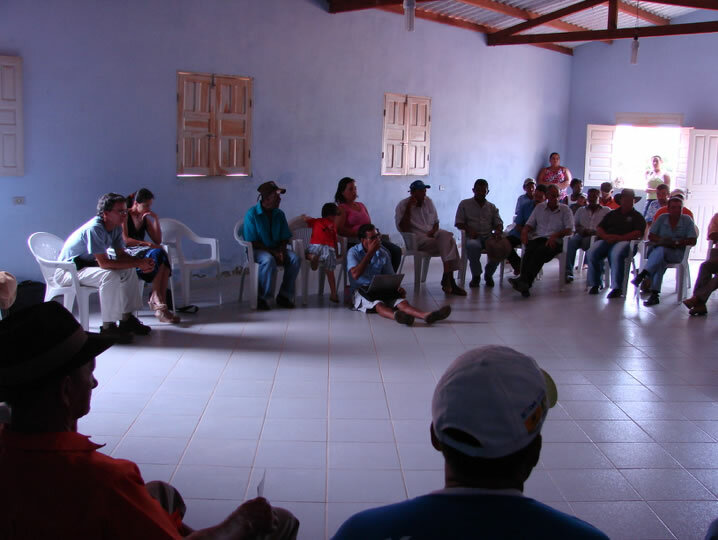 With the support of Funbio (Brazilian Biodiversity Fund) and the Ford Foundation, the project focused on the training and strengthening of about sixty farming families directly impacted by the construction of the highway. At the time, sustainable agricultural practices were less widespread and the practice of burning the land to “clean” the soil before planting was widely prevalent. In addition, many people subsisted through the deforestation and sale of trees of the Atlantic Forest. As both activities were prohibited by environmental legislation and there was greater enforcement, farmers needed to find alternative ways of surviving. Many were indebted to development banks – which, in turn, facilitated access to credit, but failed to provide continued technical assistance to the producer. The Floresta Viva Project helped bring about a permanent dialogue and adequate solutions between the farmer, the community and the environment. It was necessary to invest in long conversations to build bonds of trust with the local communities. 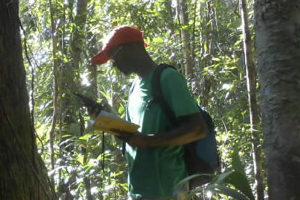 Forest engineer Salvador Ribeiro coordinated the project during this period, and his work was fundamental for consolidating a new perspective on the farmer, who came to be seen as the great ally for the preservation of the forest. There was a conflict of interest in the region that, in order to be dissolved, required a deeper understanding. On the one hand, there was the need to protect one of the most bio-diverse environments on the planet; on the other, traditional farmers, living in precarious conditions with few economic alternatives, sought survival by cutting and burning the forest to create subsistence farm plots. The solution was to transform farmers – agents of degradation – into conservation protagonists. We needed to create new economic alternatives linked to the forest and its conservation, and to establish a deeper affective bond with the farmers and their forests. The experience was so transformative that many remember the details of the strategy and its lasting impacts. We brought about new things such as seedling production, seed sales and the production of vegetables as income-generating alternatives. We also created a Payment for Environmental Services program, in which the farmer received half a minimum wage (brazilian national salary) not to deforest. It was a big change. There were only four walls at the beginning [of the Association], built with the sweat of the farmers. One day, they knocked on our door, Rui and Salvador, with backpacks. They helped to write a vegetable production project that came in good time, because we were not prepared for the arrival of the Conservation Unit. We managed to make this house a beautiful place. My whole family participated in this construction. I do everything to keep this place standing. Currently, the Association is a partner of the professional master’s degree course of the Ecological Research Institute (ESCAS/IPÊ), which, since 2009, carries out its classes at headquarters. As the work took shape, the results soon appeared and the project transformed into an institution. 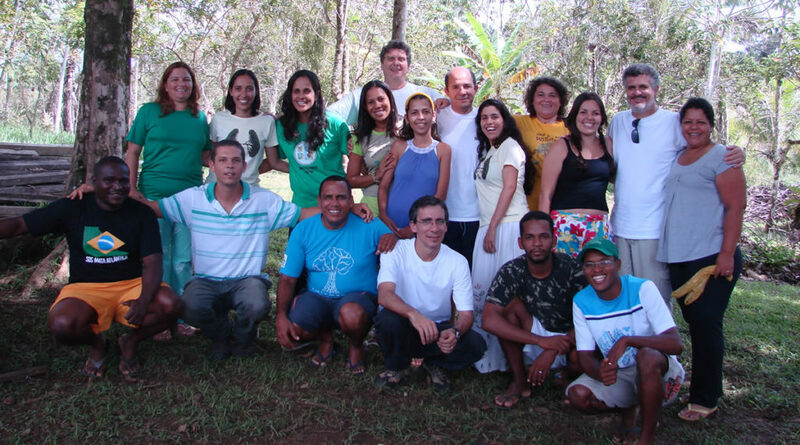 The Floresta Viva Institute (IFV) trusted in forest restoration and the reconciliation of man and nature. In this way, IFV began to direct its energy and resources towards the Serra do Conduru, in Southern Bahia, while IESB invested in emerging research of conservation of biodiversity. At that time, IFV was a pioneer in proposing a vision focused on landscape management and defending the conviviality between environmental preservation and a forest economy. Today, Floresta Viva is a center of knowledge production and dissemination of information about the Atlantic Rainforest, native species and aspects related to its preservation. This has to do with the origin of the group, formed by the IESB in conjunction with an innovative agenda of natural conservation with society. The leadership of Floresta Viva has considerable teaching and research expertise in different areas and universities. This is how the organization became a reference for teachers, researchers and students, who rely on the IFV as a university extension space. In 2009, six years after its foundation, the Institute became part of the Pact for the Restoration of the Atlantic Forest, in partnership with the SOS Mata Atlântica Foundation and, in the same year, built the Viveiro (nursery), which functions as the main space for the Institute’s team, partners and visitors. 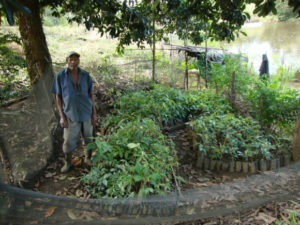 In 2002, Floresta Viva Project was recognized as one of the best Brazilian initiatives in sustainable local development and received the World Bank’s Innovative Social Experiences Award. The following year, IFV received the FERFA/CRA and Super Ecology awards from Superinteressante Magazine. Farmers participated in the creation of the Instituto Floresta Viva. 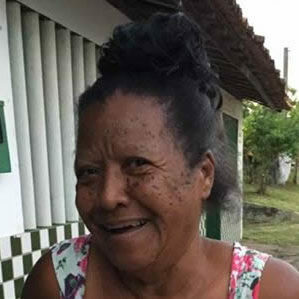 Renata Santos de Oliveira’s father, who currently works at the nursery, is one of them. From the beginning, Reinan Trindade de Oliveira enthusiastically supported the proposed changes. 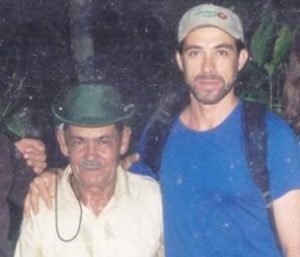 He quickly understood the benefits of departing from slash-and-burn tactics and transmitted this perspective to his children who, like Renata, continue to advocate for a sustainable relationship with nature. Here it was common to see gigantic trees felled. If we had continued as before, we would have had nothing remaining, nothing left at all. Over the years, the organization has developed key initiatives in the region. 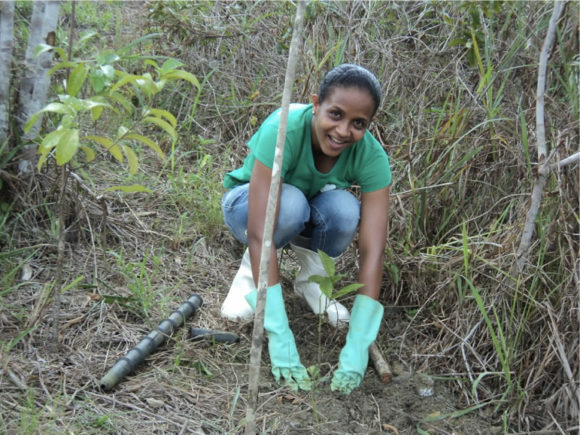 These include the restoration of degraded areas (in partnership with public agencies and civil society entities), the identification and formalization of five quilombola nuclei, and a campaign to discuss the impacts of the Project of Porto Sul. With this, IFV consolidated its image as an organization that significantly engages the local population while positively influencing public policies and producing knowledge about the region’s importance. IFV has been important in promoting social capital in the region. From our work, directly or indirectly, we have attracted and cooperated with a number of local and regional organizations, events, initiatives and movements. This is our greatest legacy, in the long run, along with nature conservation.